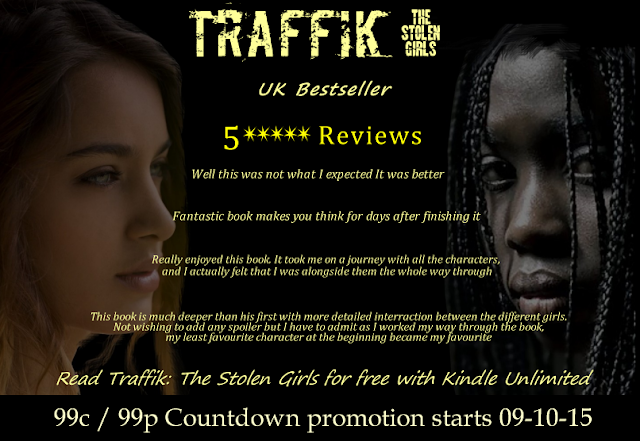 UK Bestselling novel Traffik: The Stolen Girls is on Amazon Countdown Offer from the 9th until the 15th of October, priced at only $0.99 / £0.99. Daylight found the four fugitives asleep beneath the softly sighing pines, four young women from vastly different backgrounds that had been thrown together by cruel fate, a fate that had stripped them of identity and dignity, a fate that had tested their spirits beyond the boundaries of endurance. They were all damaged by their ordeal, yet it had forged a bond between them that transcended friendship and gave each of them a priceless gift. Peninah's Passion will be on 99c/99p countdown promotion in November, so watch out for that.